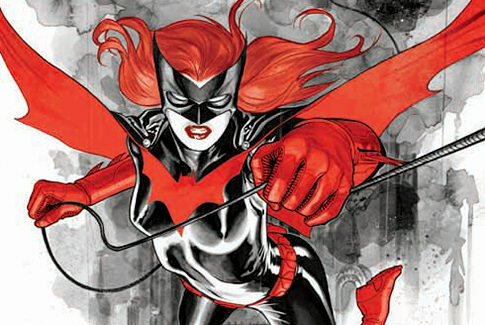 What does DADT's repeal mean for Batwoman? All of my gay blog reading comic book geeks out there know that DC Comics’ heroine, Batwoman’s secret origin is tied directly to Don’t Ask Don’t Tell. Second Lieutenant Kate Kane was given the boot from the United States Military after choosing not to lie about being a lesbian. Writer Greg Rucka wrote the scene brilliantly in Detective Comics #859. Charles Skaggs raises an interesting question. Now that the military policy is on it’s way out, what will this mean for the character, and the rest of the DC family? While I don’t exactly expect high-fives from Batman and The Question, I do look forward to the policy’s demise being referenced. I know we are only talking comics here, but a topical issue such as this one tied to such an A List (OK, B List. Still…) character’s development should mean some fantastic storytelling is on the way. I’ve always appreciated it when pop culture “goes there” in unexpected mediums, and Batwoman and Detective Comics are no exception. Is anyone else reading this fantastic series?